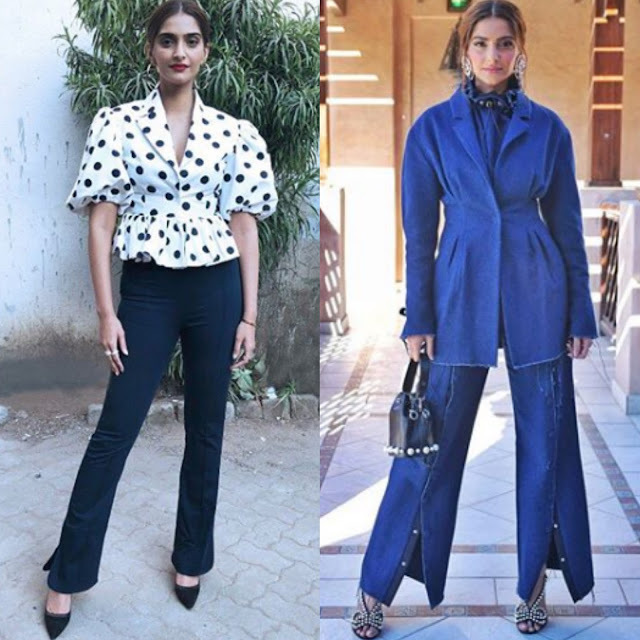 Sonam Kapoor has been hitting the circuit to promote her upcoming projects and she showed off two of her looks on instagram. 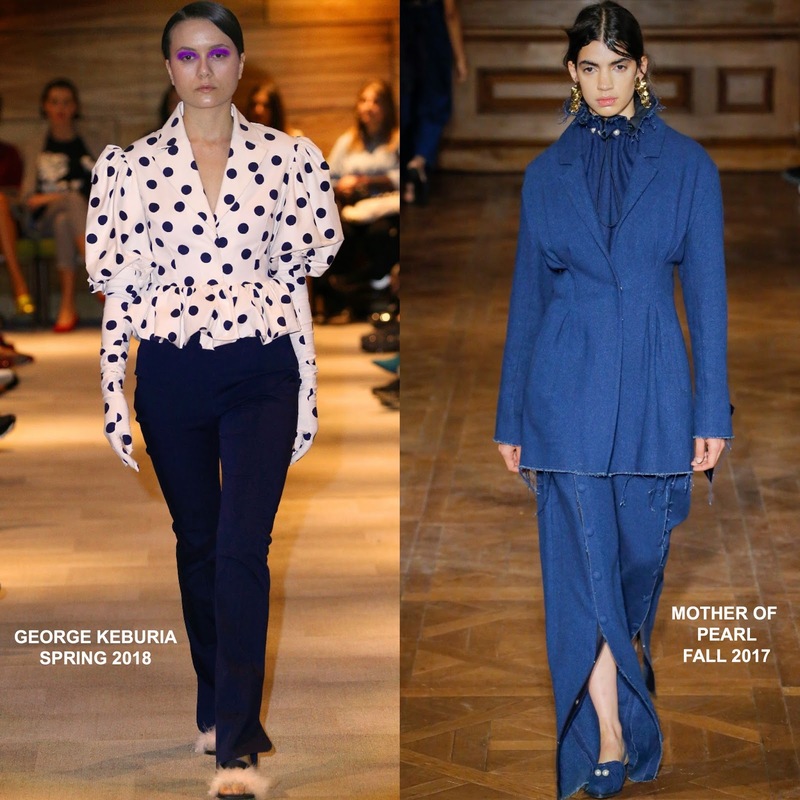 Her first look from yesterday(December 6th) featured a GEORGE KEBURIA SPRING 2018 ensemble which featured a white & black polka dot top with puffy sleeves & a ruffle peplum detail and black split hem trousers. A center part bun, red lips, ANMOL jewelry and black pumps finished up her look. For her second look, she posed for the gram wearing a MOTHER OF PEARL FALL 2017 denim ensemble which was adorned with pearls. Her look was accessorized with a pearl detail bag and FENDI sandals. Statement earrings and a up-do finished up her look. Which one of Sonam's instagram styles do you favor?